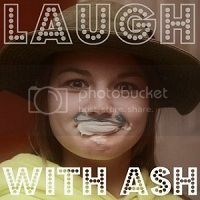 Laugh with Ash: Cry Now, Laugh later. ...And then looked it up on WebMD? So the latest was cramping and low back pain- but it wasn't that time of the month. So what gives? Just so you don't think I'm completely loony, my grandmother passed away (before I ever met her) from cervical cancer and my mother had a hysterectomy in her 30's to remove the tumors. and I had a slightly irregular pap right after Ronin, though Doc says that's fairly common in young women and during pregnancy as the immune system is low. So, with my two symptoms, I was convinced. And I went to the doctor, totally ready for him to tell me I was dying or that I'd need surgery or chemo or whatever else. And so as soon as he walked in, before he could even ask me what I was seeing him for, I burst into tears! Yes, just flat out sobbing. Embarrassing. So my Doc, being the kind patient man that he is, says "Whoa, what's up?" And I could barely squeeze out that I was just scared. Doc: (slight smirk on his face) Have you been reading WebMD? Doc: And you think you have Cervical Cancer? Yeah... only a little embarrassing. How did he know me so well?! We chatted and he did some blood work and a urine sample.. Mild UTI. I can only laugh now that it's over. And I'll probably have to hide my face from my doctor for a while. Hahah, glad it's something mild :) I ALWAYS look stuff up on the internet...it almost never makes me feel better though! It NEVER makes me feel better! I ought to have WebMD blocked on my computer! oh man, that is horrible but so funny at the same time. 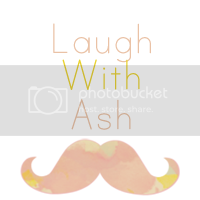 and something that i would do..
Ash with a stache' love it! 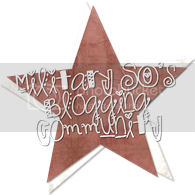 I have a bff that is my ash and I find it funny that is the title of your blog! Girlfrannnnn when I was first diagnosed with this disease I have I hopped on to WebMD and the hubs and I stared at each other in between sobs and I thought oh lord this is a life changing event which it was but I was thinking I was like going to die like in a week...thank goodness with the help of JHU and all the new medicines out there they said I will live a long life I just have to get in remission! SO I never ever go to Web MD that is so funny that he asked if you have been reading web md my doctors ask me that too for when I get bloodwork I still cant help but look it up on the weekend having know idea what it is and then freaking about it until monday when the dr calls saying its normal its just sodium Summer lol...yeah so I try not to look at web md much ha! Cute post glad it was just a uti even though those hurt like nobodies business.